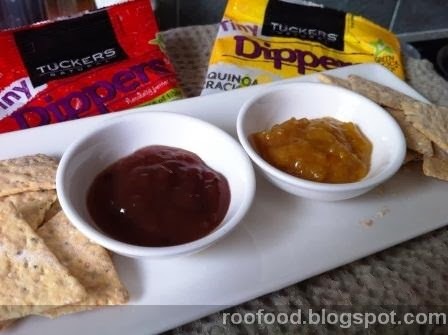 Roo Food: Tuckers Natural Products - it's a cracker! 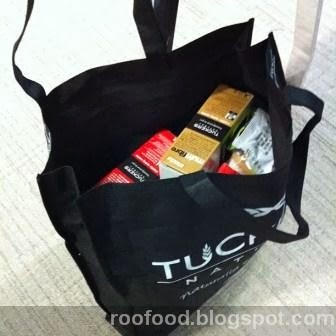 A food blogger is always happy to sample new products and with great pleasure I sampled the large offerings courtesy of Tuckers Natural Products. This is what arrived at my office. The vast array of products has taken me a while to get through, hence the very long awaited late post. It's not just about my thoughts on the products, I wanted to know what all my family and friends thought too. So, it's taken some time, sharing with family and friends at various parties and drinks and I've finally got to the end of that big bag. 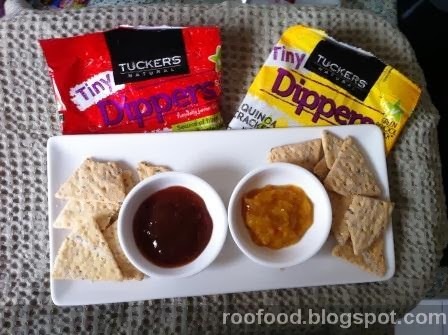 These Tiny Dippers are perfect little snacks for the office or when you are on the go (actually they are perfect for any time snacking). 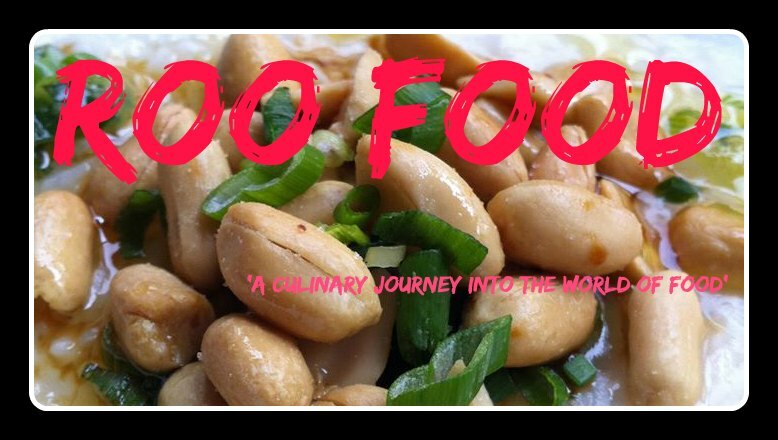 Easily throw them in your handbag, gym bag or lunch box. I usually snuck in a 10 minute break at work and dug into a packet of these. I loved the tanginess of the tomato salsa. The Multifibre rosemary and sea salt crackers have a more delicate flavour (and cooler on the palate). These crackers are paired well with the Tuckers range of fruit pastes. Today's samplings were blackberry and raspberry and mango and passionfruit. Both are (and equally) good. What about just Dippers? 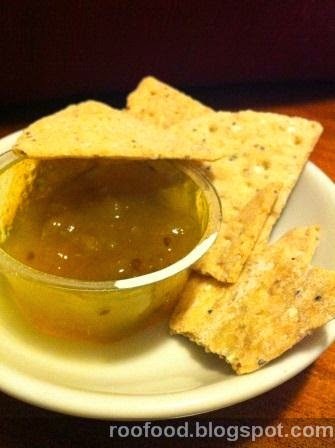 - quinoa crackers come with caramelised onion dip. Deep and rich tangy onion dip. I am liking that Tuckers notes the calories in the packet too - perfect for the conscious calorie counter. Of course there is nothing like sitting down to a movie, a glass of wine and a cheese platter after work. 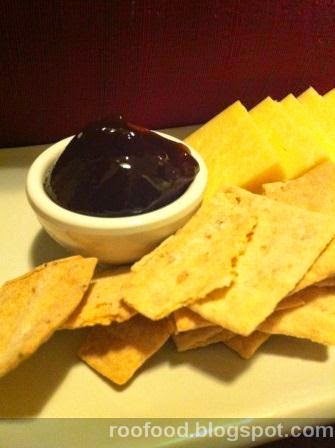 Here I have paired caramelised onion crackers with the quince fruit paste and cheddar cheese. And lastly quinoa crackers with green tomato salsa. Perky and zesty! 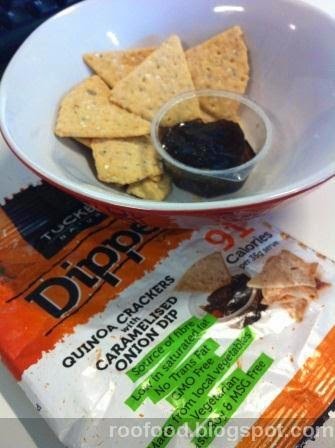 Overall the Tuckers range is pleasing and healthy with many of the snacks coming in under 100 calories. 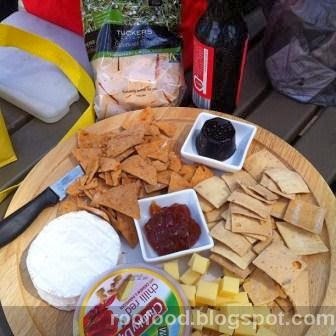 The texture of the crackers is unique and can lift any nibbles platter to another level. They feel a little bit speesh - rather than say a plain water cracker! Hahah.....Definitely a crowd pleaser. I think you've gone crackers. Heh.